So here we are, standing at the finish line for 2016. And although we’re out of fuel, tired and more than a little dirty, there’s still one last thing to do. 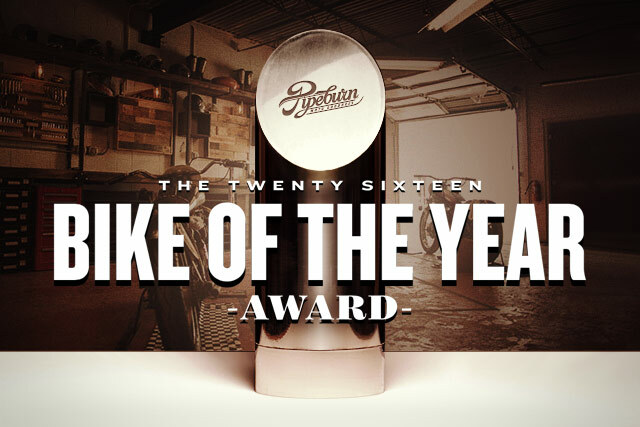 There’s one last thing before we pat this totally crazy year on the back and kick it to the curb, and that’s to give away one more of our exhaust-shaped stainless steel beauties, also known as a Pipeburn Bike of the Year award.